Australian - ANL Shipping Co.
584 gross tons, 264 net. Lbd: 182"10" x 29'7" x 11'2". General cargo vessel built as the Elmore by Walkers Ltd., Maryborough, Queensland for the Australian Shipping Board. Single screw, diesel engine 10.5 knots. February 1957 transferred to the Australian National Line. 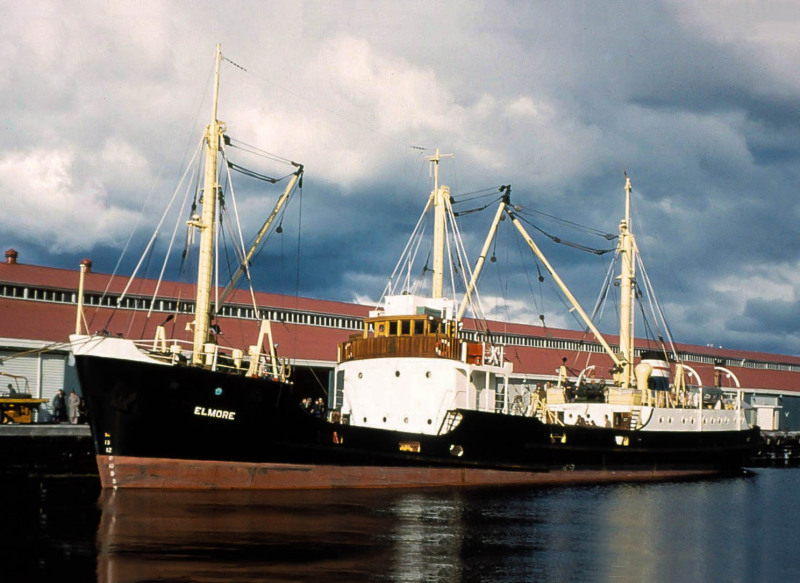 January 1965 sold to John Burke Ltd., Australia and renamed Waiben. This photo has been shown 797 times since it was added to the site.